Unfortunately, due to technological advances and continued high labor costs in the U.S., these jobs aren’t coming back despite promises of tariffs and other penalties. Robots now perform a majority of the tasks once lauded as the mainstays of American machine shops and assembly lines. And we are looking at a future of robots and automation sucking up more jobs. What’s more, any attempts to bring back these jobs could lead to rising inflation and a surge in the U.S. dollar due to high wages and even higher retooling and manufacturing costs. 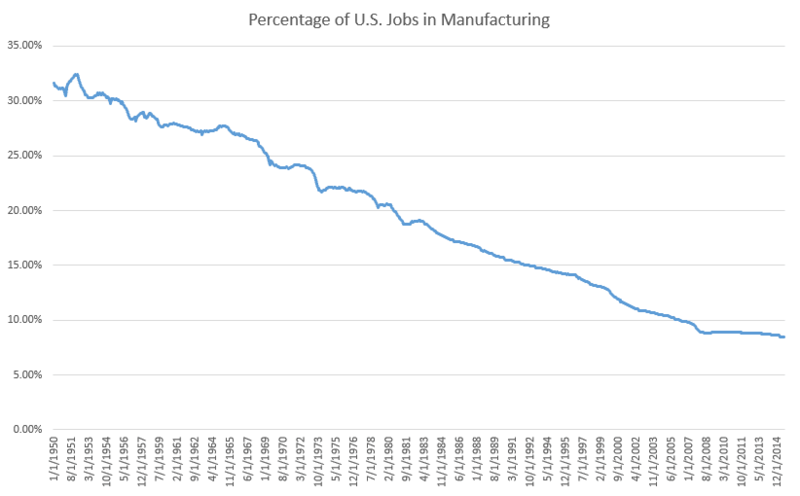 America’s future does not lie in the renewal of the manufacturing sector. My colleague Jeff Opdyke has his own thoughts on how the U.S. employment situation will eventually play out … and it isn’t pretty.